At Skydive Ramblers, we always strive to provide each of our students with the best skydiving experience possible, but don’t take our word for it – see what our customers have to say! 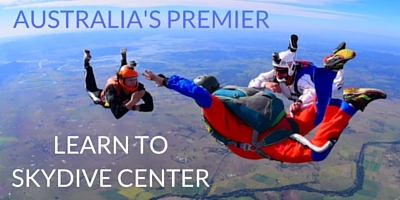 Read the reviews and testimonials below to find out what students have to say about their experience at Skydive Ramblers near Brisbane, QLD. We value our guests’ feedback and would love to hear from you! Please contact us and tell us about your experience at Skydive Ramblers. You can also leave us a Google Review or TripAdvisor Review. Thank you! Was anxious-as coming in to start my AFF course, but these guys truly put me at ease. Felt more like joining a members club than just buying a commercial course. Great atmosphere – encouraging staff – awesome experience…..Now I just gotta get back and complete the course! Such a good experience, they made it feel like coffee with an old friend! 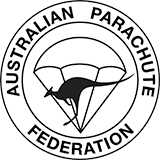 Commenced my AFF Course on the 5th of March 2016 and continued stage 2 through to stage 4 on the Sunday. Had an absolute great time learning this amazing sport. Definitely going back this weekend for stages 5&6 and completing this course to continue skydiving for a life time. I am absolutely hooked. My partner also did 2 tandem jumps on the Sunday considering that she doesn’t like flying or heights and yet due to the nature of Ramblers and their instructors and staff, she is definitely hooked as well. She is going back for a 3rd tandem this weekend too. They are amazing people and instructors who have a special way of teaching. Their skill sets and experience are of the highest standard and their expectations of their students is fair an achievable. Absolutely recommend Ramblers either for an experience of a life time or to complete a full course. You will not regret it. Awesome bunch of people. Made me feel at home the minute I walked in. Training was everything I had heard and expected. Would highly recommend to anyone interested in skydiving. Thanks a lot Ramblers. Hope to see you all soon. One of my all time favorite dropzones in all the world, which is saying something, because I have jumped at hundreds of dropzones. Wonderful people running the place, wonderful people jumping there. Safe operation in every way, and tons of fun! We spent eight days at Skydive Ramblers during first days of January and had great time. Awesome DZ, awesome friendly staff, great airplane and facilities. Accommodation on premises was great and very reasonably priced. Weather on some days was challenging but we jumped every day as organisers put a lot of effort to make sure good weather windows are utilised to the max. We also enjoyed after jumping socialising at the bar on DZ and great food both at DZ and in nearby Toogoolawah town. Skydive Ramblers are wingsuit friendly and there is plenty of landing space around DZ in case someone can’t make it back. Highlight of our trip was incredible kangaroo action at landing area – we did literally land on kangaroos and it was great fun 🙂 There are also wild koalas in the area. To summarize – we had incredible time and already looking forward to come back sometime in future. Spent the the day of last week and the start of the weekend for the Coast2Coast boogie. I’m a new jumper and it was heaven on earth for me! If you haven’t been go!! But don’t make the same mistake I did and only go for 3 days. You need at least a week! To say I love it is an understatement. I’ll be back very soon!! You always get to $14000 feet and you are surrounded by fun jumpers with crazy skill keen to teach. I’ll say it again, GO THERE! Great place to visit, top food and hospitality and plenty of Skydiving activities to watch and enjoy. Memorable, fabulous, passionate, friendly, accomodating, professional. FUN!!! Best thrills and chills going, nice people great instructors, I’d recommend you go to Ramblers all day. Very professional. Most professional and supportive environment I have had the pleasure of being involved in, great sense of professionalism and fun. Most amazing experience. Staff are all professional, very safety oriented but make the entire time you are there so much fun. First time jumper and we did it at night during their equinox boogie and the atmosphere was brilliant. Highly recommend to anyone wanting to experience an amazing jump. Went with them today for my first ever skydiving. It was amazing, exhilarating and exciting. Don’t be scared, there’s nothing terrifying about it. Once you are out of the plane, it feels like you’re flying. The crew was terrific. Couldn’t say more great things about the guides, the pilot and the receptionist. I give up 2 thumbs up. The package was well worth it. Go for the higher altitude one if you can, the free fall is the best part by far. I have been to Toogoolawah for 3 tandem jumps so far. I am trying to make it a yearly event. I love the atmosphere out there in the bush, with the kangaroos around. The staff are friendly and the trainers that take you are professional while at the same time making sure you have fun. I would highly recommend a trip out to Ramblers. My experience of a tandem skydive was for my 40th Birthday. I could not imagine possibly enjoying myself any more than what I did today. Thank you to my tandem guide and the video guys. Instructions were very clear and thorough about what to do, what to expect and I got a great tour guide experience up in the air. I look forward to doing it again.